Elio serpa , Graduate in Economics , IT Networking Systems College at Richmoned Virginia , Usa , Current enrolling for MBA in Real Estate. In Richmond ,Virginia worked as Property Management , this was his first step in Real Estate Business. In Florida worked in several major Real Estate Companies as Watson Realty , Keller Williams Realty Commercial , Exit Central Realty . Elio has REO Certificates which he specialized in Bank auctions , Reo auctions , Counties Auctions and other distresses proprieties. Also worked with International Buyers at Florida Connexion Properties Inc when he get his Golden Key Certificate Excellence in Professionalism at Real Estate Business. 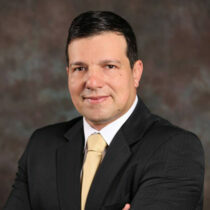 Elio Serpa has Broker Business Licensed at BBF, qualification for consulting , buy and sell business in Florida Estate. He owned a business in Richmond Virginia also owned and shareholder business in Florida. Elio Serpa , he is an American Citizen , married , 3 children.